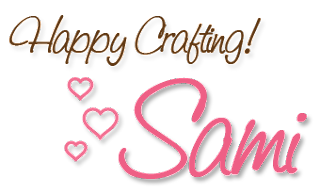 Samantha here, filling in for Alyssa today! 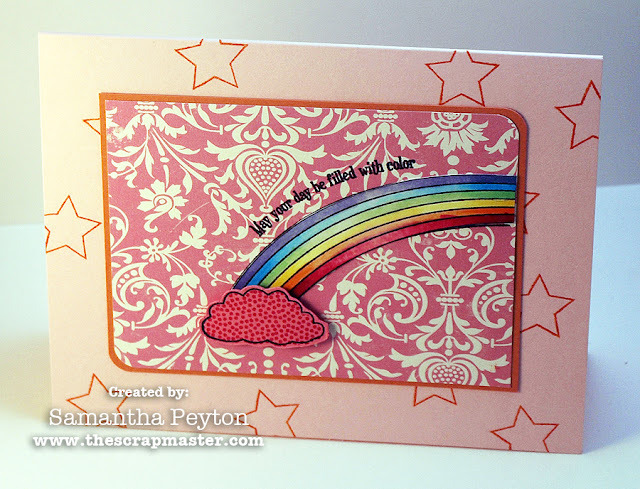 And I have a nice colorful card for you featuring a brand new stamp set from SP and Company. This stamp set is called Lucky Day. To get the very lightest area in the center of the rainbow, I used the colorless blender (number 0) to push the color towards the ends of the rainbow. And as you can see, the red part ran a little bit because I colored it too quickly after the yellow layer and my yellow layer wasn't all the way dried yet! When coloring with Copics, you do have to be a little patient and let touching areas dry before coloring them.